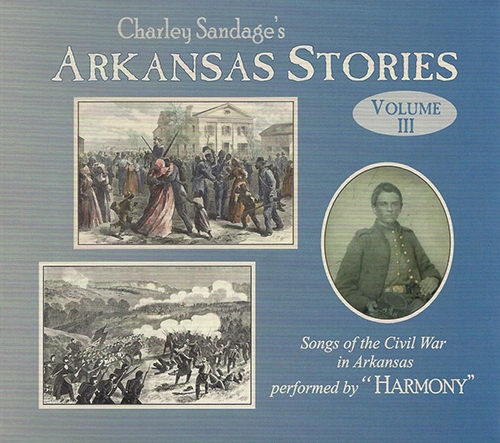 Unlike its predecessors, Arkansas Stories Volume III deals with one era, the time of the American Civil War. I had generally avoided these stories until around 2010, knowing all the time they would have to be told. Like every state that was part of the Confederacy – but for some unique reasons more than some of its other southern sisters – Arkansas’ past, present, and future must be seen through the prism of that sad epoch. This collection has fourteen songs that were written for the project, plus two earlier songs that arose from that era. To purchase this CD, please contact me directly at charley@charleysandage.com.